For a cocktail enthusiast, the process of experimentation, and in many cases, the discovery of favorite drink recipes, can be likened to a chef, working through the pantry toward delicious dinner combinations. Each ingredient opens doors to new flavors that bring challenges and opportunities. Early favorites are often sweet concoctions that find refuge with the sours, where the quest for balance and variety can sustain plenty of interest. But at some point along the way, an ingredient appears that adds bitter to the spectrum, and for someone not accustomed to this in a drink, the experience can seem unpleasant before it feels revelatory. It's easy to be confused about bitters when it comes to cocktails because the word is used for different things. Certainly, we can describe something that tastes bitter as having a bitter flavor, but when discussing ingredients, we need more clarity. We need to classify bitters by grouping them into two categories: cocktail bitters and potable bitters. Cocktail bitters are typically sold in smaller, paper-wrapped bottles and are added to cocktails in tiny amounts. We are talking drops or dashes—a quantity not likely to actually make a drink taste bitter. Angostura and Peychaud's are common examples, but there are many others named for their primary ingredient such as Orange, Grapefruit, Cherry or Celery. These intensely-flavored cocktail additives are designed to season a drink, bringing the other ingredients together or boosting their flavors with concentrated additions. They are not meant to be consumed on their own. In fact, makers of cocktail bitters go to great lengths to make them taste bitterly inedible by themselves to avoid being classified as spirits or liqueurs. After all, their origin was medicinal in nature, and as the cocktail proved when it was first invented, a spoonful of sugar helps the medicine go down—along with your favorite spirits. 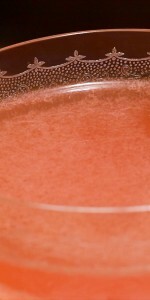 Of course, more than one modern cocktail ingredient has made the transition from medicinal remedy to refreshing beverage, and many are still considered appetite stimulants or digestive aids to this day. Although it's less common in the United States, folks in Europe and elsewhere have been imbibing such herbal liqueurs for centuries. Those that contain bitter botanicals such as roots, bark, and fruit—but not so much as to make them undrinkable—are considered potable bitters. They often have rich regional history with secret recipes and multiple ingredients. Many examples come from Italy. You probably recognize Campari, which is an infusion of bitter herbs and fruit. Not quite as common, though gaining ground is Aperol, Campari's sweeter cousin. While Aperol has rhubarb among its ingredient list, Cynar, another Italian bitter liqueur, is known for the artichoke it contains. Its bittersweet flavor and darker color brings even more herbal complexity. The informal science behind the creation of these "medicines" is based on the idea that the human body responds very specifically to bitter flavors. Most poisons in nature have a bitter flavor, so many people believe that drinking a bitter aperitivo sends a signal to your body to prepare the digestive processes for what's to come. We also have the digestivo class of potable bitters. Amaro, literally translated as "bitter" in Italian, refers to herbal liqueurs that soothe the stomach and aid digestion. You may recall Amaro Nonino which came up last year when I featured the Paper Airplane cocktail as well as an ingredient in a wonderful riff on the Manhattan. This is but a single brand, and Italians have many. Averna, Ramazzotti, Lucano, Montenegro, Ciociaro—these are all Amari (plural), and the list goes on and on. Cynar is technically an Amaro, although it has traditionally been consumed as an aperitivo. A maceration of bitter citrus, herbs and other botanicals in neutral alcohol, Amari can be light or dark with varying degrees of sweetness. Some contain only natural herbal flavors and color while others may have caramel additives. Not all originate in Italy, however. German Jägermeister, for instance, falls into this category, although it has quite a different reputation. Some are delicate while others, such as Fernet-Branca, are sharply bitter. Reviewing every nuance of each of them is beyond our scope right now, but knowing what they are and how they are used will help you explore them on your own. 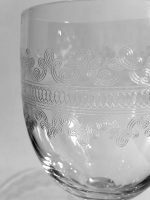 You probably already know how to dole out dashes of cocktail bitters when they are required. 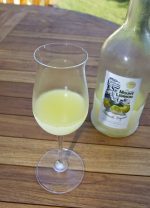 A few recipes have been created that use them in larger proportions, but it's usually the potable bitters that are consumed in greater quantities. Argentinians drink Fernet-Branca with Coke, though my wife drinks Fernet neat (to settle her stomach). You can find Campari as a primary ingredient in the Americano and the Negroni, but for the most part, potable bitters work best as modifiers. Some have appeared in classic recipes, but most Amari have yet to enjoy widespread distribution. Many are only just beginning to find their place in cocktail recipes. The best way to explore this yourself is to focus on something you already enjoy and try substituting ingredients. Start with a Campari cocktail, for instance, and try it with Aperol, or Cynar. You could also explore recipes that use any liqueur to invent variations using an Amaro instead. I like Jamie Boudreau's ratio suggestion about vermouth cocktails. Take 1.5 oz of any spirit, .75 oz of vermouth, and .25 oz of liqueur or Amaro. The possibilities are endless. If you go out, you can also watch for bitter ingredients on better bar menus. Or, if you know your bartender is capable, tell them what you are looking for. Give them a chance to impress you. Call out an Amaro that you see on the shelf or ask for a sample. Friendly patrons that acknowledge skill and creativity are often rewarded with interest, attention and some of the best improvised cocktails served. Don't be afraid to ask questions, but be considerate: if the bar is screaming with orders five people deep, it's not the time for unusual requests. For those of you that are interested in a little more guidance, our upcoming Drink Of The Week takes bitter Campari into more familiar sour territory. These bitter drinks are really growing on me. I've been spending a lot of time lately trying cocktails with potable bitters as the primary ingredient. It's been an interesting ride. Most recently, I made the "Growing Old..." from Rogue Cocktails, which uses Cynar (seasoned with salt!) as the primary ingredient. Very savory and totally different than I expected. Rogue (now beta) is a cool collection. Check out the Art of Choke if you haven't already. I hope to taste a drink called Eeyore's Requiem tonight at Bradstreet in Minneapolis. That's another Cynar cocktail from The Violet Hour in Chicago. You should be able to find the recipe using The Google. I'll have to check out Growing Old. Salt is always an interesting and unexpected flavor enhancer! Forgive me, Eeyore's Requiem is Campari, Cynar AND Fernet. Talk about bitter! I went to make the Art of Choke the other night, but my mint was bad and so I had to hold off--I've heard it's a pretty mindblowing cocktail though. I ordered an Eeyore's Requiem a few months ago at the always-awesome Patterson House in Nashville (The Violet Hour's sister bar of sorts via Toby Maloney) and really enjoyed it. It's a VERY complex drink. That's cool that you are near Patterson House. Bradstreet is another Toby creation. I suspect "complex" is a positive reaction? If you like Cynar, Robert Hess's Trident cocktail is a must. Complex is definitely a compliment in this case. I wouldn't hesitate to recommend the cocktail to someone who likes Campari. Tried the Eeyore's. Liked it, but I liked my second round even more. I had the Fangs Out, which is gin, green Chartreuse, Carpano Antica, orange bitters. . . and I think I am forgetting something. Cynar? Anyway, I took a picture of the ingredients in the menu so I can try to make it. Sounds delicious--let me know how it turns out. I tried a Buckaroo Flip at the Patterson House a few days ago from their winter menu and was able to get the measurements from the bartender. It tastes like an amazing cup of black coffee. Combine ingredients, dry shake. Add ice, shake, strain into chilled cocktail glass. Jonathan, thanks for digging this up. I wonder if this one also appears on The Violet Hour menu. If so, you should post this over on the LTHForum.com where there is a very long thread called Home Violet Hour. I'm not really a fan of flips or egg nogs, but Cynar in this? Very odd, and I should try it before I judge, right? A couple things will make this a challenge for me. First, I don't have Luxardo Espresso. Could I sub another coffee liqueur? And Corsair Triple Smoke--I am not familiar with that one at all. Again, any subs? I know, sub enough stuff and it's a different drink, and although I love Cynar, I probably won't be buying another coffee liqueur too soon, and I have never seen the whiskey around here. I do roast my own coffee beans though, so I definitely know what an amazing cup of coffee tastes like! I just checked and it doesn't seem to be on the VH menu. I love that thread, though. I've been slowly working my way through the drinks as I get the ingredients. Finally got around to infusing the pineapple gin for The Riviera and absolutely loved it. I was very suspicious of the drink as well (Cynar and egg and coffee all in the same drink just sounds weird) but the bartender talked me into it and I was very pleasantly surprised. I'm not at all knowledgable about the differences between coffee liqueurs, but I'm assuming it'd be alright to sub it. It would probably need to be an espresso liqueur, specifically (and something powerful to boot). Just that .25 dominates the drink. You may have to experiment a bit. Corsair is a local distillery (Nashville & Bowling Green, KY) that makes all sorts of liquors and does a lot of experimental flavors (I recently picked up their Pumpkin Spice Moonshine, which is really interesting). Patterson House uses a lot of their products, but I'd imagine you'd have a tough time finding them anywhere outside of the south. The smokiness barely came through in the nose and not at all in the drink, so you could probably just sub a smoky single malt for the rinse and be fine. I agree about the Riviera. That's a cocktail I need to feature here. It's easy enough to do the infusion, and everyone who I have served that drink to loves it. Of course, there's also the Juliet & Romeo! finally picked up a bottle of amaro cioCiaro..read (on egullet) it can be sub'd for Picon...which i cannot get...finally tried a brooklyn and liberal cocktail..mmmmmm!!! Got some CioCiaro myself, but I have not had a chance to try it yet. I didn't know about subbing for picon. Josh, Nice writeup. I like the flavor detail for the amari you featured. You touched on all of the important ones that appear in most recipes. I build my inventory slowly on items like this, and right now, I need to add a few more to round out my collection. It's fun with house guests to line them up and do a "bitters tasting", then mix a cocktail with one and welcome another bitters lover to the world! Yeah, me too. At events people will often ask what Amaro is? I like to pour em a quarter shot so they can taste the pieces to the puzzle of their cocktail. It goes a long way. Plus I love opening eyes. Have you ever tried Suze in cocktails Randy ? I have found a soirce for some, but don't really know if it's woth the cost. Any experience with this gentian root bitter ? I just got a 1,5 L bottle of Ramazotti. What else besides Chaplin can you use it for? Paul, Ramazzotti is pretty tasty all by itself, and because it's only mildly bitter, it can work nicely as a sub for sweet vermouth in lots of recipes. Try making some Manhattan variants or Negronis where it can take the place of Campari. There's also a recipe (I think by Jamie Boudreau) for a homemade Amer Picon that leverages Rama as a main ingredient. Tobey Maloney created something called Tax the Daisy which combines gin, apricot liqueur and Rama. As with many amari, some of the best results come from experimentation. Boudreau's Ratio (1.5:.75:.25) of spirit:vermouth:liqueur is a great place to start. Use the amaro as the vermouth and pair it with a liqueur or keep a vermouth and let the amaro be the small modifier. You may create a classic that already exists and not even know it. Good luck, and report back what you find. Also, I have not tried Suze.